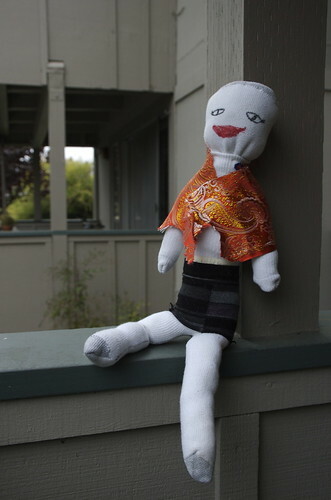 I mentioned Miss M’s Journey doll project in an earlier post. Well she’s come home for a few days so my girl can finish dressing & tressing her. She’s still a work in progress but I think she is is perfection already. I love that the doll has a bit of M’s attitude.